Venture outdoors with confidence on a lightweight mobility scooter that's easy to use. The Scout mobility scooter is the ideal companion for short journeys, days out, and shopping trips. It's remarkably easy to use and comes with plenty of features to ensure a safe and comfortable ride. With a maximum range of 10 miles between charges and a top speed of 4mph, this lightweight and portable mobility scooter is perfect for journeys at home or away. 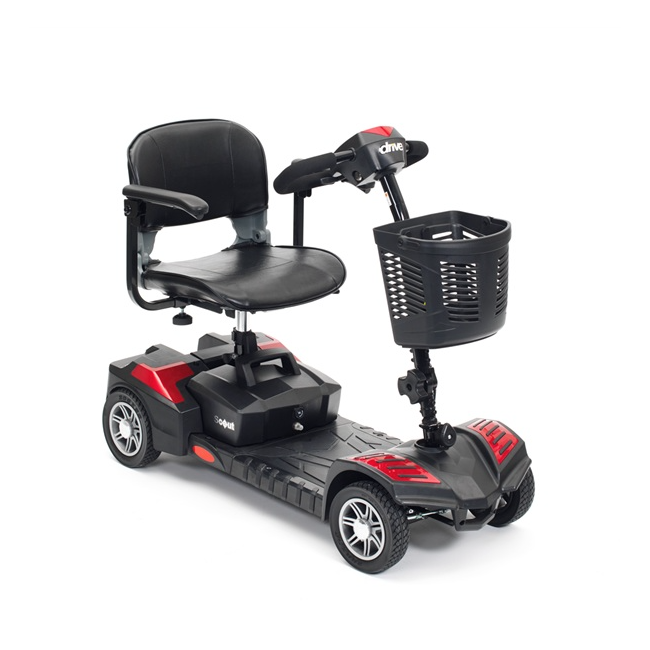 When not in use, the scooter splits and folds easily for convenient storage.